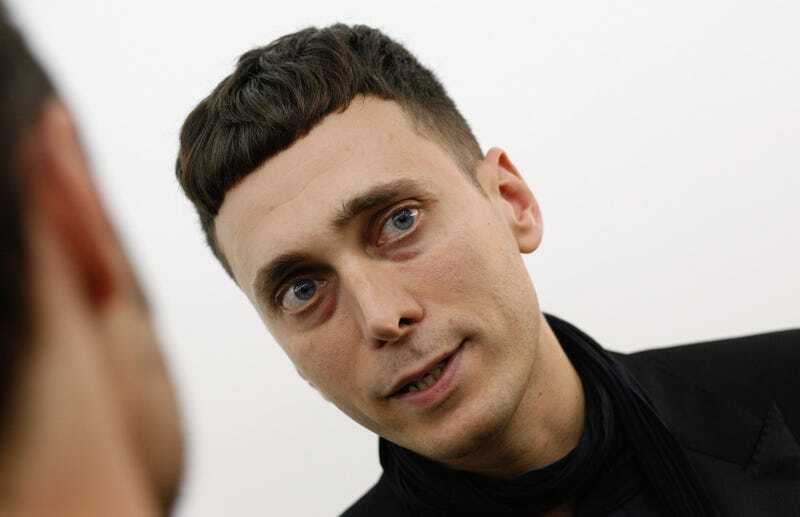 Hedi Slimane, an important fashion man, has parted ways with Yves Saint Laurent (an expensive fashion house), where he spent four years as creative and image director. During his time at YSL, Slimane refashioned the house in his own image with a series of bold moves: moving the line’s design studio to L.A. from Paris, dropping the “Yves” from the brand’s name, redesigning the company logo, and infusing a grungier, rock-inflected aesthetic into the apparel. YSL, which had been struggling not too long ago, enjoyed a financial boom with Slimane at the helm, reporting about $1.14 billion in revenue in 2015, up 38 percent from 2014. There is no word yet as to his replacement. Hedi Slimane is a major fashion figure and definitely not best known as the subject of a long, meandering tirade that interrupted my Yeezus tour show. He inspired devotion among his collaborators, including model-actress-celebrity Cara Delevingne. The rumor among bloggers “in the know” is that this visionary will soon hitch up with a different YSL altogether—it’s Slimane Season, baby.